Q: This is your first book in the travel genre, correct? Q: And what prompted you to move into new territory? Brady: Well, it’s really not new territory, considering how much I travel and how often experiences from my travels find their way into my talks and other writings. This is just the first time I’ve decided to package something on the topic of travel all together in one book. Q: Your previous books have focused on leadership, success, history, and business. Will readers of those other works recognize your work here? Brady: Yes, certainly. This book isn’t merely a travelogue, but as one reviewer put it, it’s “a book about how to live,” as well. I can’t seem to get very far into a story, real or otherwise, without looking for the nugget of wisdom that might be gleaned from it. I think that’s where my previous readers will feel at home with this book. Q: So at the heart of it, what is A Month of Italy really all about? Brady: As the subtitle says, it’s about the art of vacation. And really, I’ve become convinced that vacation - a proper, restorative vacation - is an art, meaning, it takes some skill to do it properly. And, by the way, it’s my personal opinion that many, many people don’t really know how to do it. They fall into a rut following the same prescription as everyone else of workaholism followed by cheesy and un-regenerative time-off. I came to this conclusion based upon my own life. Back in college I had developed a coping mechanism to keep myself able to perform at a pretty high level in a competitive environment. Then somehow, through the course of living, raising a family, getting buys with, well, just life in general, I somehow got away from the formula. I caught myself showing all the signs of wear and tear. I was stressed and burnt and beginning to simply “go through the motions.” I hate living like that. I hate dispassionate existence. So I decided to take a big risk right in the middle of a busy, productive life – and maybe it was a midlife crisis, I don’t know – to take a whole month off. Q: So that’s where this book began? With the desire to take a month off? Brady: Exactly. I wanted to get off the conveyor and have a good look around, a good look inside, too. I wanted to evaluate a lot of deep things about my life and make sure I was on track for where I wanted to go. In other words, I wanted to make sure I was doing all the great things I teach everyone else to do! Q: And you discovered some key aspects to this “art” of vacation, as you called it? Brady: I did. But rather than lay them out in expository style, I decided to follow the theme of vacation being a lost art form, and decided to do with it what one does with all good art – put it on display. That’s why I wrote the book. I decided to provide the reader with a word picture of what I was talking about by sharing it a great adventure story, but all the while equipping the reader to take his or her own journey. Q: I know you’ll say it has to be shown and not told, but can you give us a little of the essence of what a truly artistic vacation should look like? Brady: Yes! In the book! (laughs) Actually, it’s a bit like this, and I’m serious, this hopefully comes across in the book, but there is a concept called restoration. My thesis is that there is a type of vacation that is merely more of the same of someone’s life, while there is another type of vacation that is radically different from someone’s normal life. For a true vacation, one has to get away – mentally, emotionally, philosophically, and possibly geographically – in order to truly repair frayed nerve endings and to re-emerge better and stronger. You see, a proper vacation should not just be rest but restoration. A true vacation should not just relax or entertain you, it should repair and rebuild you; it should actually make you better. For this to happen, you’ve got to get the formula right. Brady: Yes, although it’s not nearly as clinical as that term makes it sound. I simply mean that you have to shock your system awake. I also think you have to remove it from its normal stressors. This is not rocket science, but it’s also rarely done. Q: And how did you achieve that in your own case? Brady: It’s a term I stole from spy movies, I think. It means getting away from all electronics as much as possible. Leaving the grid. That sort of thing. With all our modern telecommunication technology and interconnectivity, social networking, texting, smart phones, etc., it is easy to succumb to what I’ll call “electronic tyranny,” where technology and devices rule our lives. We are so in touch with each other through all these artificial means that we lose touch with ourselves. We are so connected we become dependent on the devices that provide that connection. I read somewhere that the average person checks his or her smart phone one hundred and fifty times a day! That’s obsessive! So, and this part happened almost accidentally, I disconnected from almost all forms of electronic communication. And, I’ve got to tell you, it was wonderful! Q: So how did you choose Italy? Brady: That was easy! I’ve long been infatuated with the place, and to me, it’s the most fascinating, beautiful place in the world. I’ve traveled quite a bit, not as much as some people, for sure, but I’ve been in over thirty countries and even lived abroad for a bit, so I’ve been blessed to see a lot of great places. To me, Italy is just superb. It has my favorite cuisine, a quarter of the world’s protected heritage sites, history in thick layers, friendly people, beautiful coastline, breathtaking valleys, picturesque mountain ranges, seductive architecture, overwhelming art, a perfect climate, an alluring language – and so much more! Oh! I almost forgot, sports cars and fashion and designer everything, too. Q: One reviewer called you “a male Erma Bombeck” because of the amount of humor that’s in the book. Did you set out to write a comedic work? Brady: Not really. As a matter of fact, I didn’t set out to write anything specific at all. The writing of this manuscript began as a way to entertain myself. Then my wife read a few of the first chapters and encouraged me to continue. The humor was unintentional; it’s just the most honest way I could think of to represent what I was experiencing. But I love to have fun. I love to notice the odd little quirks and foibles of daily life, what Mark Twain called “prodigious noticing,” and I guess that came through in some way. Also, I can’t restrain myself from being a wise guy sometimes. Q: While it is a funny book, you also manage to get pretty deep in places. How did you blend the two extremes? Brady: I don’t know. I guess it’s just natural. Humor is not that far removed from profundity because they both deal with truth. Things are funny because their irony strikes us as being true. Things are deep, as you say, or profound, because, again, they strike a chord inside of us with what we know to be real, authentic, and right. To me, the two go together like pasta and marinara sauce. Q: Nice metaphor. Very thematic. 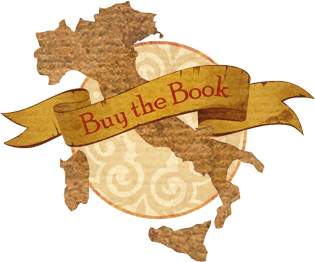 Q: What about this book sets it apart from the other literature about Italy that’s out there? Brady: Everything! (laughs) For starters, this is the only book I’ve written about Italy, so it’s unique! But seriously, I think it carves out some new territory because a lot of what’s out there, while dreamy, and certainly worthy of the title “escapism,” a lot of it is beyond the reach of the normal person. I mean, how many people can really fall in love with a farmhouse ruin and chuck their life away to start over rebuilding their dream cottage? For most of us with pesky things like jobs, bills, kids, goldfish, and in-laws (in no particular order of peskiness), it’s just not going to happen. And therein lies the appeal with some of those books, I guess, they’re totally fantastic – out of reach. But it also makes them a little unworthy for instruction. In A Month of Italy, I present a more reachable escape for most folks. And, more importantly, I give some instruction about how they can make it count the most. If they get anything at all out of the book, it should be that: a way they can see and believe, that they realize they can achieve, to take the vacation of a lifetime for the purpose of living a better life. I want readers not only to be entertained, but instructed, not only to laugh, but for the message to last. I want them to take their own radical sabbatical, to have fun, for sure, but also to dig deep, to unplug and “go dark,” and to come back restored, better than new. This world needs more people who come alive in their lives, people who get out of the passenger seat and into the driver’s seat. One of the best ways I know to accomplish this is through an escape of the kind I depict in this book. If readers get that out of it, I’ll be thrilled. Oh, and of course, it would be fine if they cackled out loud a few times, too!